I love the whimsical and feminine look of this dress. It is made out of silk taffeta which makes it light and airy. 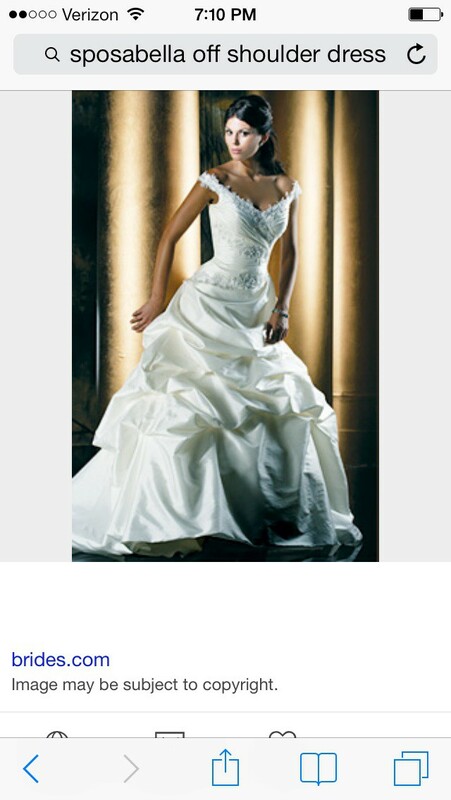 The straps can be worn off the shoulder, thus giving the bride a beautiful neckline. The bodice has lace and beading details. The skirt has pick ups throughout with a small train. The dress is Size 2. White. The dress was Never Worn or altered.